Sefton Council’s Trading Standards team are encouraging residents to be ‘web wise’ after the culmination of one of the UK’s largest ever online crime cases. Six people have been sentenced to a total of more than 35 years in prison after being convicted of defrauding UK consumers out of over £37 million in a copycat website scam. They operated a number of fake web pages, impersonating official government services in order to sell passports, driving licences and other key documents for vastly inflated prices. Sefton residents played a part in uncovering the nationwide scandal, with Sefton Council’s Trading Standards team documenting a number of complaints about suspicious websites offering to sell driving licences and visas. 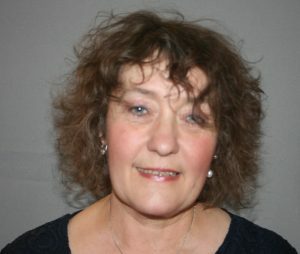 Cllr Paulette Lappin, Sefton Council’s Cabinet Member for Regulation and Compliance, said: “Online fraud can happen to anybody, especially if you’re not ‘web wise’ and our Trading Standards often receive complaints about bogus websites. “Genuine websites that ask for personal information show an image of a padlock, usually in the address bar alongside the website address at the top of the page. However, some fake websites display a padlock on the webpage itself to try and convince the user that it is a secure site. “If you’re not sure whether a site is genuine, click on the padlock and check the security certificate, which tells you if the site is authentic. If you see or find anything suspicious, please Report any concerns using the Citizens Advice Consumer Helpline on 03454 04 05 06.